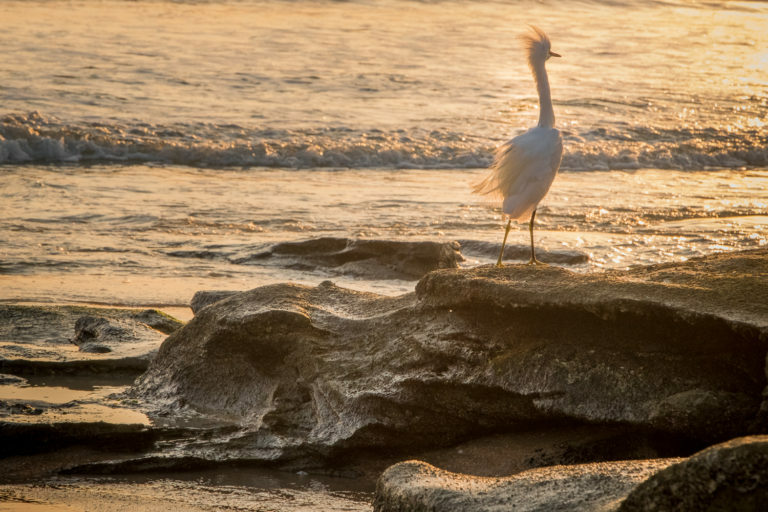 This egret showed up to enjoy the sunrise and fish. She flew quite close to me. I had on my regular telephoto lens – a Fuji 55-200mm which is the equivalent of a 100-330mm lens on a full frame camera, so she had to be close. You can see the organic shapes of years of wave action on the coquina rocks. The birds feathers were blowing in the wind as she surveys the ocean. I watched her for about 10 minutes as she moved around the area. She caught several fish and then decided to fly to another rock. 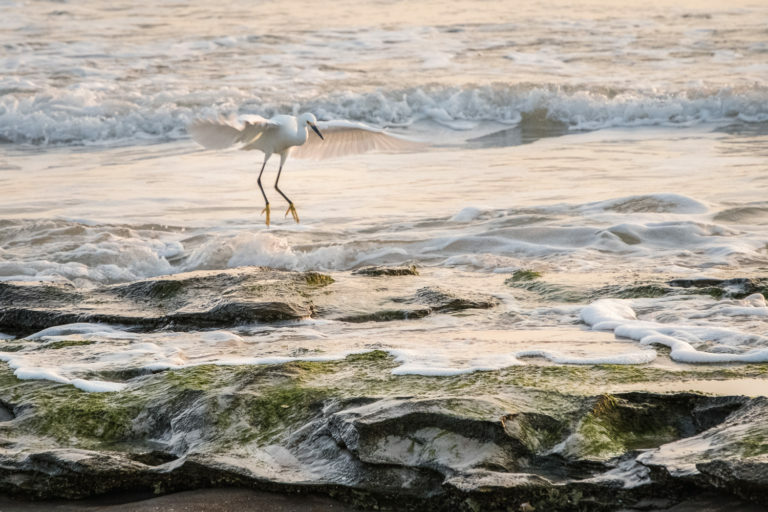 Her wings as she lands mimic the waves.